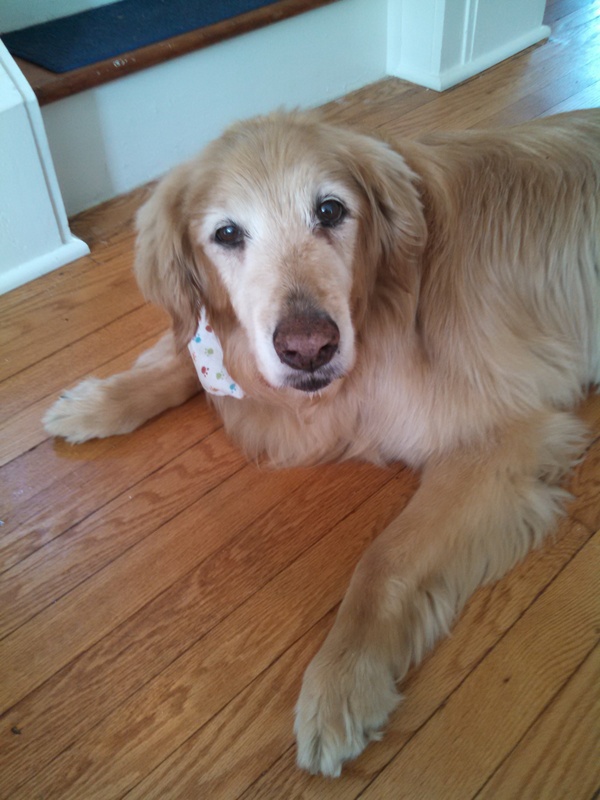 I wrote about Ginger, our family’s Golden Retriever, a couple of years ago when she was 11. She is still living out her golden years with, so far, no visible or excruciating diseases. She’s become a fussier lady, finicky about kibble, loving broccoli and green beans, rejecting beets and tomatoes. She stays closer than she used to to the household humans in preferred order, the adult kids first, then my wife the food provider, then me. When my wife or I go upstairs, she stays with the one who is downstairs. When we both go up, she stands at the bottom of the stairs, takes a long, resigned look around, then unsteadily makes her way up. One eye is cloudy. She has lived long enough for us to have an intense relationship with her but briefly enough for us to grasp the arc of her life. “Remember when Ginger….” The prospect of her dying is sad but not terrible, to me. Her decline doesn’t feel like a failure to stay alive but, instead, a completion, a conclusion. Her life, when she passes, will have been a whole, a coming in and a going out, the existence of an individual, a self. I would like to see other deaths this way, to view the wilting of plants or trees as completions, not as loss, to see the absence of elderly friends and family that way, to see my own aging that way. I would like to, but I’m not sure I can. This entry was posted in Dying and tagged aging, dog. Bookmark the permalink.